What is your marketing automation provider? How many customers does your company have? Do you have an active customer community? Learn from the best of the best. The cream of the crop. This new eBook features advocate marketing success stories from Hootsuite, Salesforce, InsightSquared, Iron Mountain and many others. 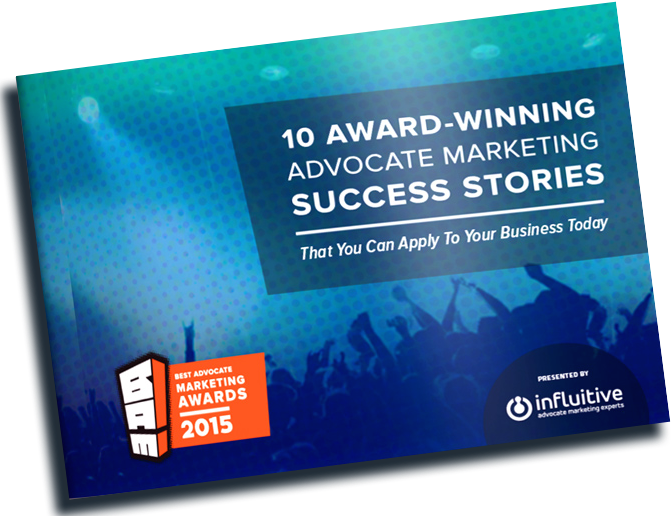 On each page, B2B marketers share the goals, tactics and impressive results behind their award-winning advocate marketing programs. Learn how some of the best marketers in the biz are working with their customer, partner and employee advocates to generate more referrals, produce high-quality content, create better customer experiences, engage audiences on social media and much more.